of tourists. The only way to reach the cave is by approaching a one and half hour of trekking from Edakkal. The top of the cave fetches a visitor with captivating views of the valley below and nearby surrounding areas. The cave remains open from morning till 4:00 pm. Banasura Sagar Dam: Largest Earth Dam in India, Banasura Sagar Dam is a hypnotizing tourist site to visit in Wayanad due to its much hyped scenic landscape and beautiful surrounding at the backdrop of Banasura Hill. Many islands can be formed in the upstream of this dam when the dam is full owing to its amazing topography. Muthanga Wildlife Sanctuary: Home to wide number of protected flora and fauna, Muthanga Wildlife Sanctuary is the largest dwelling for wild animals in Malabar spread over an area of 345 square km in Muthanga, about 15 km east of Sulthan Bathery. Some of the animals that reside inside this protection center are bison, cheetah, wild boar, wild bear, tiger, spotted deer, and elephant along with many other wild animals. Visitors can relish elephant rides inside this sanctuary for further enjoyment. Wayanad is home to some tribal (adivasis) and other residents with the tribal enjoying their own world and festivals due to which this place celebrated distinct culture when compared to other places in Kerala. The tribal happily reside in an old world thatched hut roof in a swampy area following Hindu as their main religion whereas other residents following religions like Hinduism, Christianity and Muslim resides in modern towns. Vattakali and Kodiyattam are the main form of dance performed by the residents. The perfect time to witness the Tribal festivities of Wayanad is during February and May. The major festivals celebrated by the residents of this place are the Thirunelli festival, Mahasivarathri, Karthigai, Easter, Christmas, Vishu and Bakri Id etc.Some of the culinary delights of Wayanad include pal payasam, awial, poricha kootu, moru kootan etc. and some Jain cuisines. Ivory, bamboo, wood and cane made crafts and handicrafts are produced mainly b the people of this place. Chembra Peak: Highest peak in Wayanad with a height of 2,100 meters, Chembra Peak is one of the significant adventure and natural tourist spot which provides trekking and mountaineering to its guests. Placed nearby the town of Meppady, the trek to the top of this summit takes almost a day’s time but thinking of the panoramic view of the entire emerald Wayanad the trek is nothing. For experiencing the best of your holiday or a vacation, staying at the top of the peak for a couple of days in temporary camps is a must. Every essential including sleeping bag, guides, huts and canvases are available on hire. 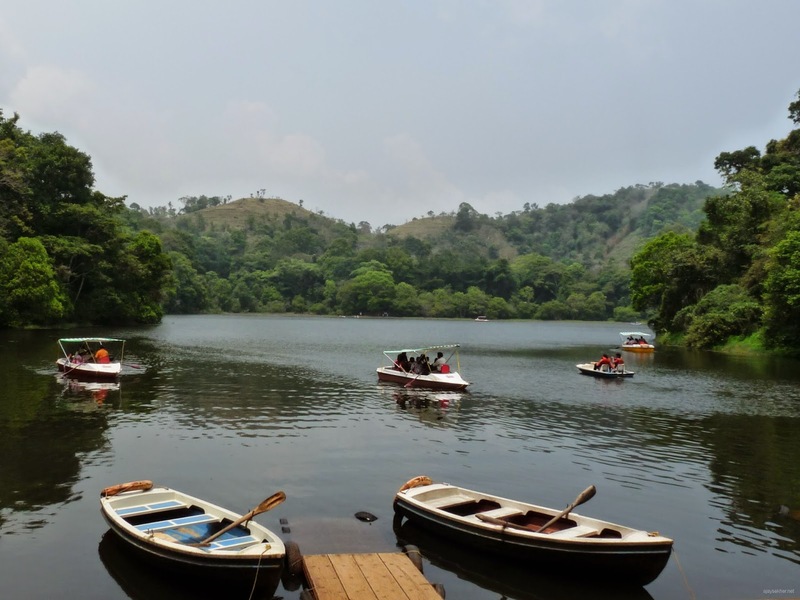 Pookot Lake: Surrounded by dense forests in a calm and tranquil environment, Pookot Lake is among the top attractions of Wayanad placed at a distance of half hours of drive from Kalpetta. Visitors can spend some composed time with family or with loved ones by relishing a visit to the nearby fresh water aquarium which exhibits colourful fishes, strolling along the emerald decorated pavement and by taking photographs of these exciting lake settled at the backdrop of a carpeted mountain. Boating is not permitted on this lake. Sentinel Rock Waterfalls: Ideal location for rock climbing owing to the elevation of the rock which is 200 meter in height, Sentinel Rock Waterfall, placed in Vellarimala Village near Chooralmala in Meppady panchayat is also a good place to relish picnic in the wild. Visitors can indulge in trekking to reach the Chethalayam Waterfalls where variety of birds can be spotted along with astounding views of the natural environs which can be enjoyed.